Let's get it on. This guy's up for a feast. A rather peculiar move, in my opinion, if we compare it to the Belgian brewing giant's recent operations, especially in Europe. Leaving Bosteels apart, Camden Town and Birra del Borgo were charismatic and acclaimed brands throughout the market of their countries of origin: since their purchase, they have lost charisma in exchange for a substantially wider piece of the market. For its part, La Virgen was born as a product designed for the Madrid market, and until a year ago it was basically focused on it. As a company, it has never quite been in the circles of the national craft movement, appearing in few festivals and without a significant presence in specialised bars. On the contrary, it has successfully penetrated the market with a craft-labelled product that delivers a similar experience to the 'usual' beers. Its range of six beers, three of them being seasonals, is indeed conservative. To make it clear: 'Madrid Lager' has always been marketed as a craft alternative to Mahou. 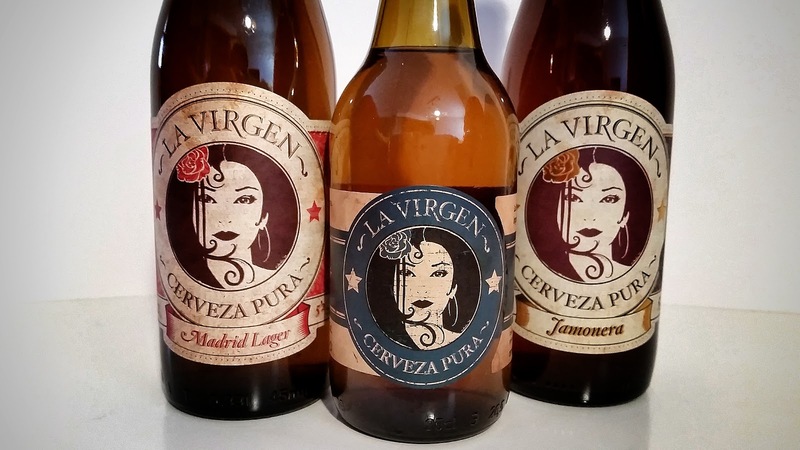 Cervezas La Virgen is a company from Madrid that took the middle way and created a product to be liked in its own market, without great rearrengements to be made on the consumer's palate. And their strategy has worked pretty well. en España 2015, published by Cerveceros de España. So much so that, in November 2015, they presented their new facilities with the ambition, according to their website, to expand through Spain and to export. After contrasting the information with local sources, fourteen months later La Virgen is still mainly sold in Madrid and Castilla. 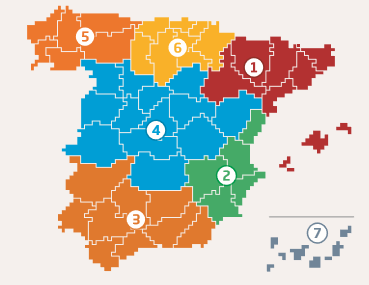 To locate it in the map above, its market would basically be in the 4th area, which according to Cerveceros de España meant a 21.7% of the beer sales produced in the Spanish State in 2015. In the rest of areas, except for the occasional beer or in a certain chain of supermarkets, La Virgen are seldom seen elsewhere. Whether this information is significant or not in the decision to sell to AB InBev, I do not know it. But certainly, because of their capacity and business philosophy, I think it would have been one of the three breweries that every active observer of the brewing industry would have pointed out as potentially acquirable by a large brewing group. If not the first in line, after the aforementioned expansion of facilities a year ago, which meant a new 2,000 m2 plant, with an investment of 1.6 million euros and an initial capacity of 400,000 liters a year, which currently stands at 2 million liters - according to their website. But without penetration in all the peninsular markets -unlike Camden in the UK-, and without the charisma and international diffusion of the two other European 'craft' brands recently acquired by the Belgian giant -the lack of involvement with the craft sector and the conservatism in their products has historically separated La Virgen from the sympathies of the national beer geek-, AB-InBev has some work ahead. To start with, one can expect that they might want to seize the 78% of the cake that they are presently not even seeing. Their product can be propitious for some of the areas on the map if sufficient resources are allocated -AB InBev Spain, with a mature and powerful distribution network, should not have a problem- and a competitive price is set to try to dispute the cake to the common brands. The first area of the map, which includes Catalonia, would probably be appealing since it represented a 19.8% of the market in 2015. But also because of the maturity of the craft beer market -especially in Barcelona- that would soften the price issue. However, it is worth noting that the current brand penetration is null, that there is a large amount of alternative local product to Damm -which clearly dominates the market-, and that the branding of La Virgen, starting with its name, may not be the most attractive for the Catalan market. So we can expect profound changes, although we are still waiting for both parts to deliver more information on the operation. Especially in terms of how it all is going to work now. I am curious to understand the business approach that La Virgen will follow from now on: will it continue with this 'middle way' for now, or will it position the brand as the Spanish 'crafty' par excellance? Will there be a new, ambitious expansion plan for the facilities? 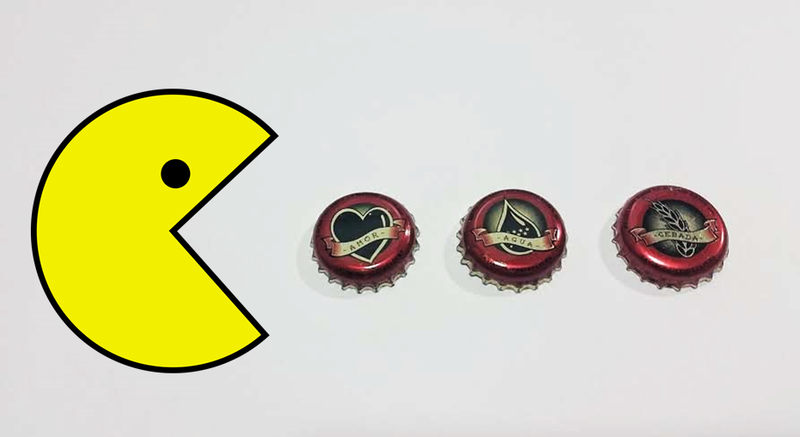 Will AB InBev produce reputed brands from its portfolio in their new premises, just like Mahou will do in a future with Founders? 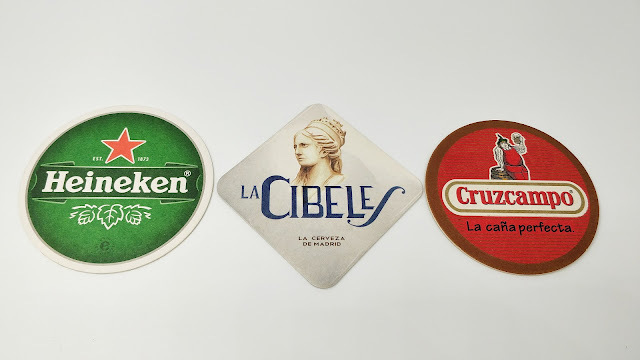 Unless there are new developments, AB InBev is now part of Cerveceros de España -La Virgen joined the association in 2016, after its opening of the previous year to microbrewers-. At this moment, I am totally unsure about whether this can be significant or not. Mahou now has an ambitious competitor with resources in their main domain. As of now, though, La Virgen's production capacity is half that of Mahou in its Pilot Plant -destined for special editions and the production of Nómada-. Not to mention that in just a single day Mahou produces two times more liters in their Alovera plant than La Virgen in an entire year. So, we will have to wait and see how events unleash. But the current scenario assures that we will see substantial changes. Either way, the battle is on. I want to thank Matt, Pau, Carlos, Miguel, Eloy and Sergio for their local perspective, which helped me create this post.